When we first downsized our home, one of the main things I was concerned about was losing our large laundry room. We live in military base housing now, and our laundry room consists of a closet in the hallway. As a family of soon to be seven people, it is a bit of a challenge making the laundry room work. 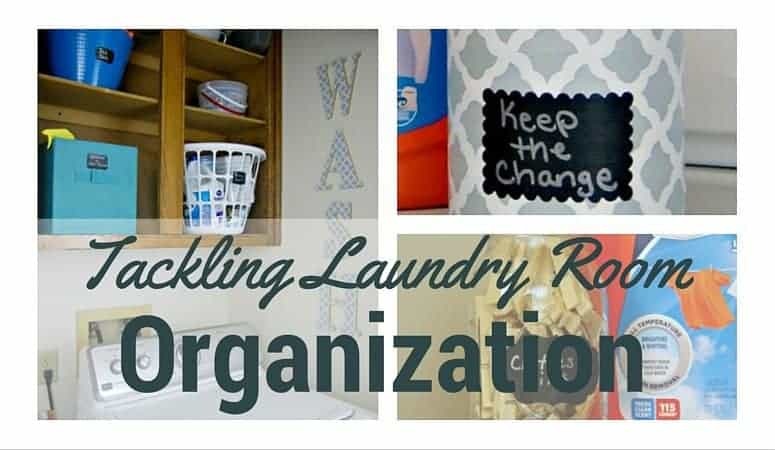 I decided it was time to tackle some laundry room organization and I thought I would show you exactly how I make this little laundry closet work for our large family. The very first thing my husband and I did to get this space organized was pull everything out of it. We found that we had thrown a lot of stuff on the shelves that didn’t exactly belong there. It was pretty bad. We threw away all the stuff that was trash, and we relocated many things to their proper homes. The next thing I did was sort all of the things that belong in the laundry closet into appropriate categories. I used bins I had on hand and some chalkboard labels. We had a laundry supply bin, a softener/stain remover bin, a light bulb bin, a pet care bin, a house stuff bin, and a miscellaneous bin. I also got a storage box just for housing batteries. 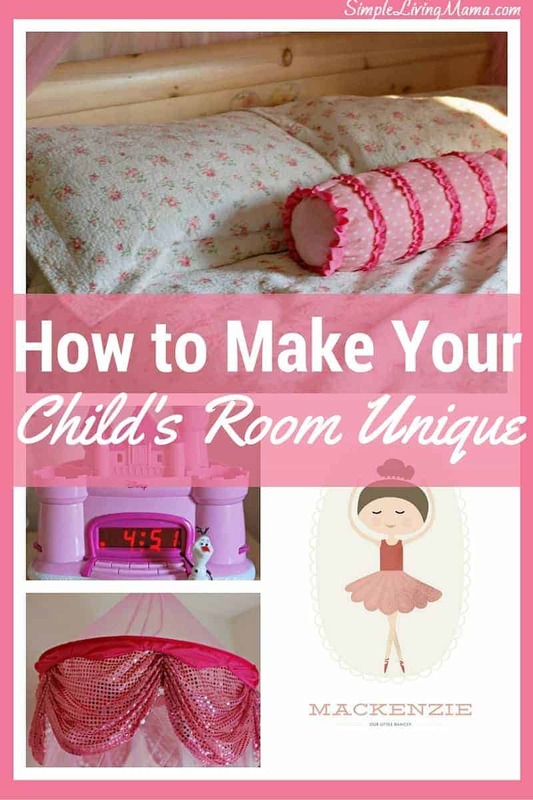 I used the other available storage space for paper towel rolls, our humidifier, and our handheld carpet cleaner. 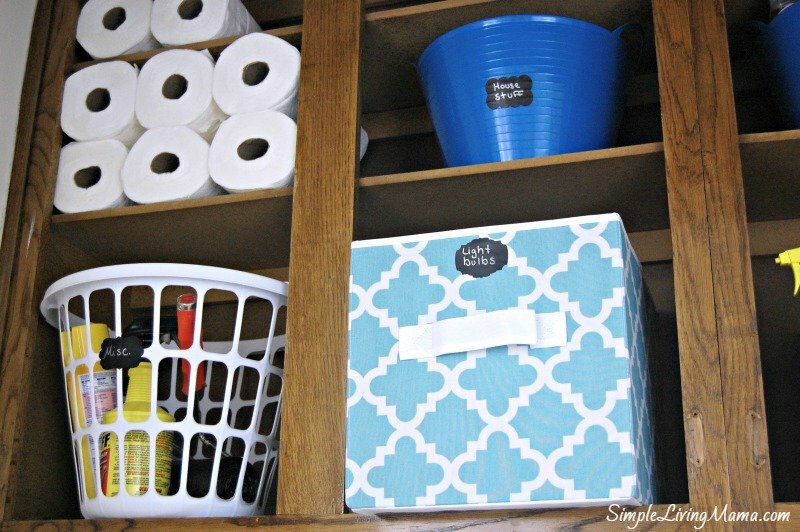 If you’re wondering where I store other cleaners, I use my linen closet and under the sink storage to house them. 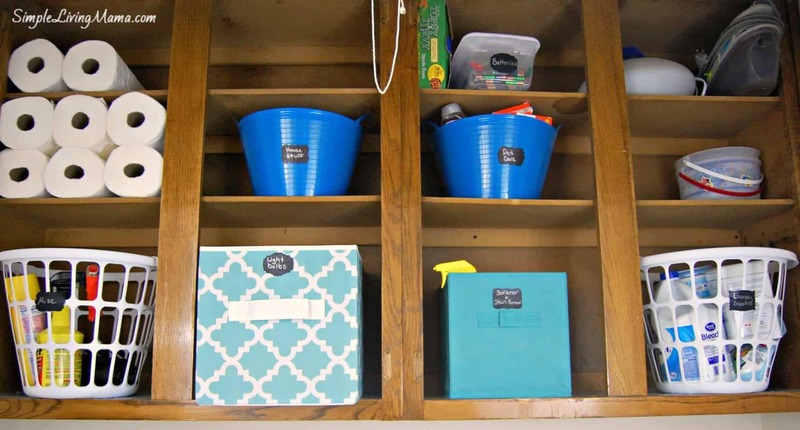 I have a laundry sorter with four compartments that sits in the hall outside the closet. Laundry baskets (when not in use) sit on top of the washer and dryer, but if I’m being honest, they usually always have clothes in them! One of my favorite laundry detergents, Member’s Mark® Ultimate Clean Laundry Detergent sits on top of my dryer ready to be used. 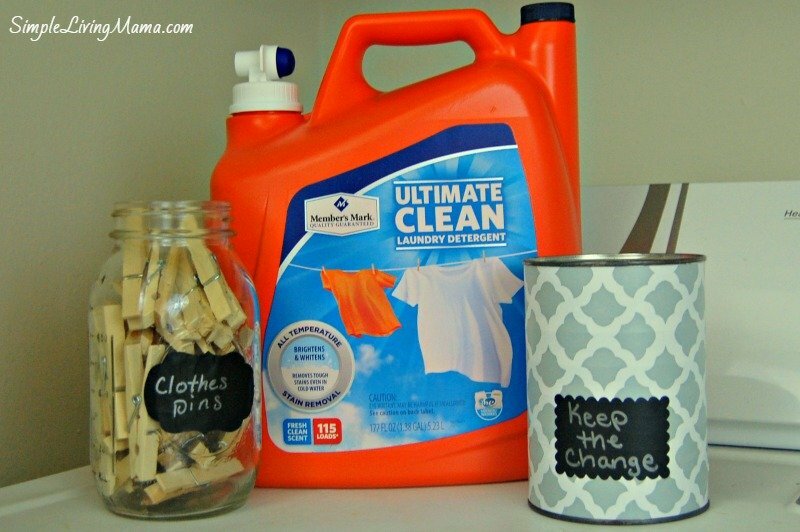 I love a lot of things about this detergent, but I especially love that it delivers awesome stain fighting and brightening power for such an incredible price. 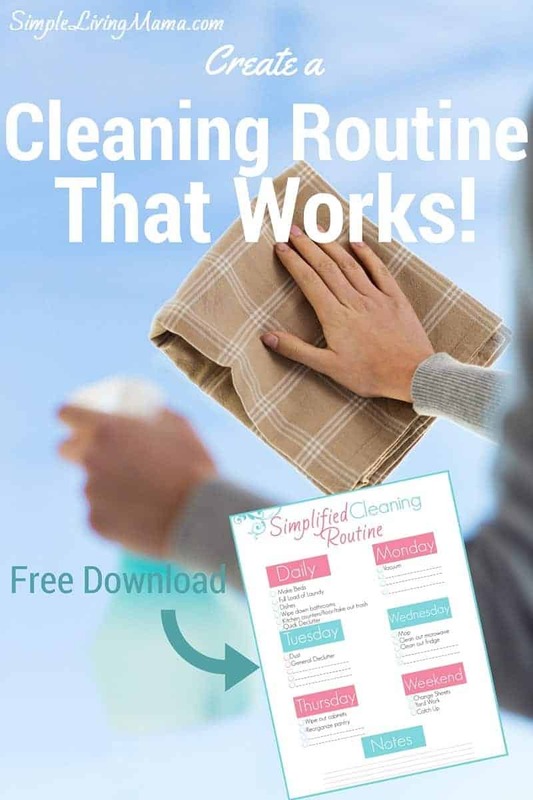 It works great whether I’m washing in hot or cold water and it’s safe for all types of washing machines. The little dispenser is mess-free and the dosing cup is great for washing clothes or pre-treating stains. 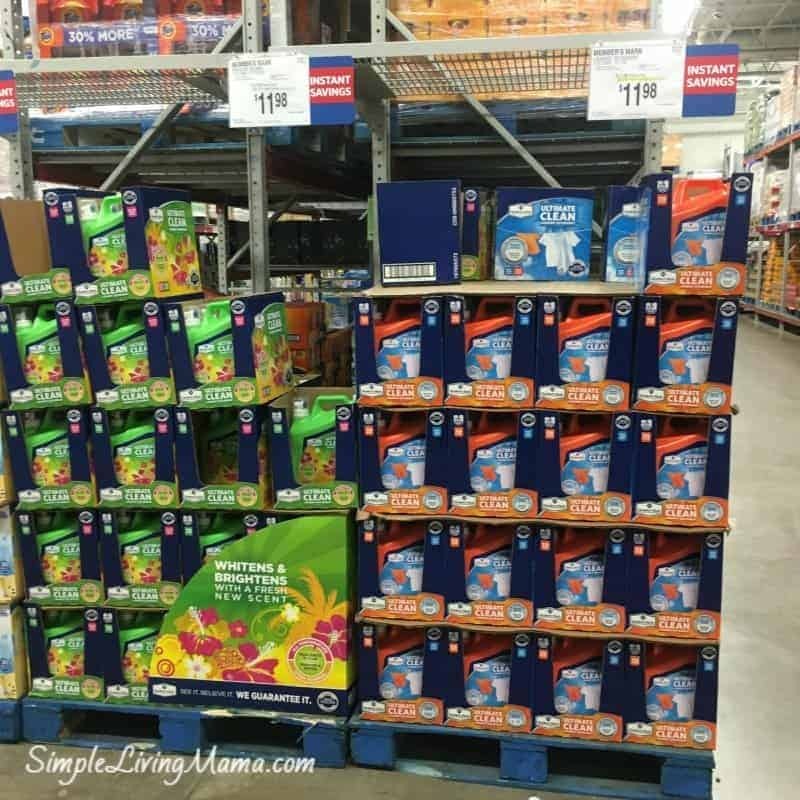 It’s only found at Sam’s Club or at samsclub.com, and it can be purchased in either Fresh Clean Scent (my favorite) or Paradise Splash. 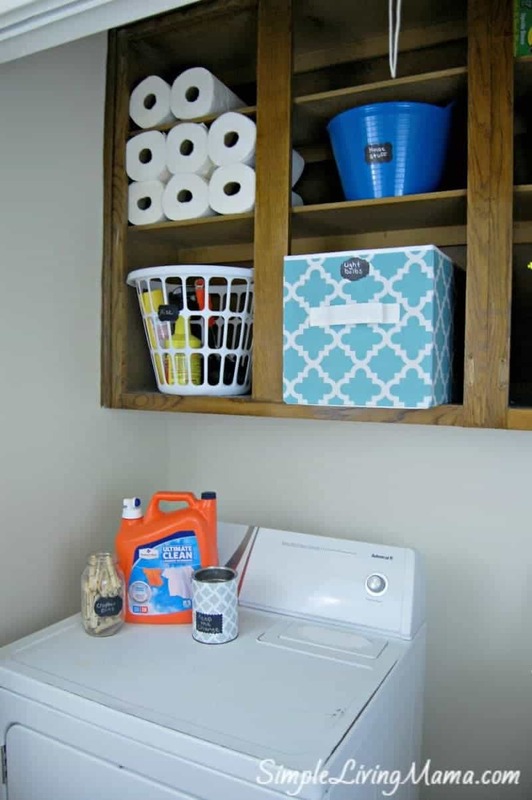 Once I got all of my organizing finished, I really wanted to do a few things to pretty-up my laundry closet. The first thing I did was make a DIY WASH sign to hang in the space. 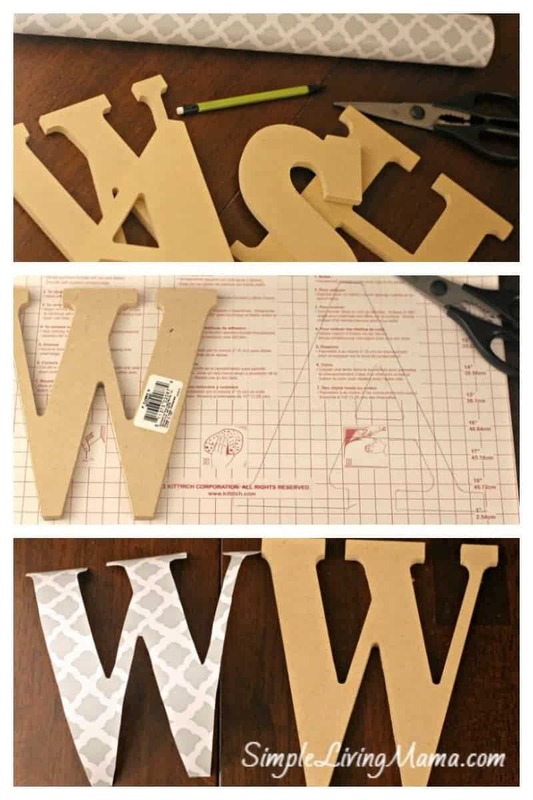 I simply used wooden letters, contact paper in a pretty pattern, scissors, and a pencil. I traced each letter backwards on the back of the contact paper with the pencil. I carefully cut each letter out from the contact paper, and then I simply adhered it to the wooden letter. I thought it turned out pretty cute! 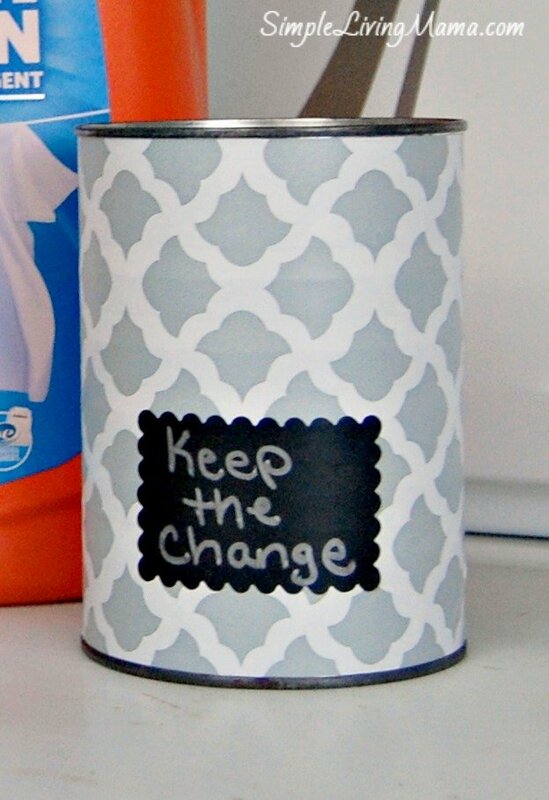 I also decided to put some of the paper on an old coffee can to make a little “Keep the Change” jar. 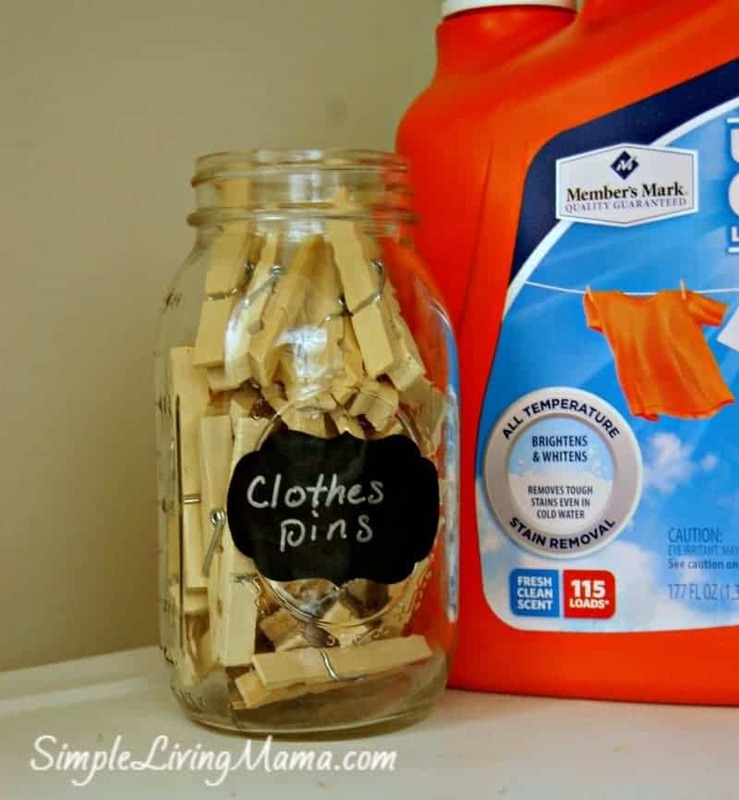 This is a great place to store any loose items that make their way to the laundry closet. My clothespins are in an old canning jar. I really like how our little laundry closet turned out! Even though there is zero natural light in this hallway, I tried my best to photograph it. 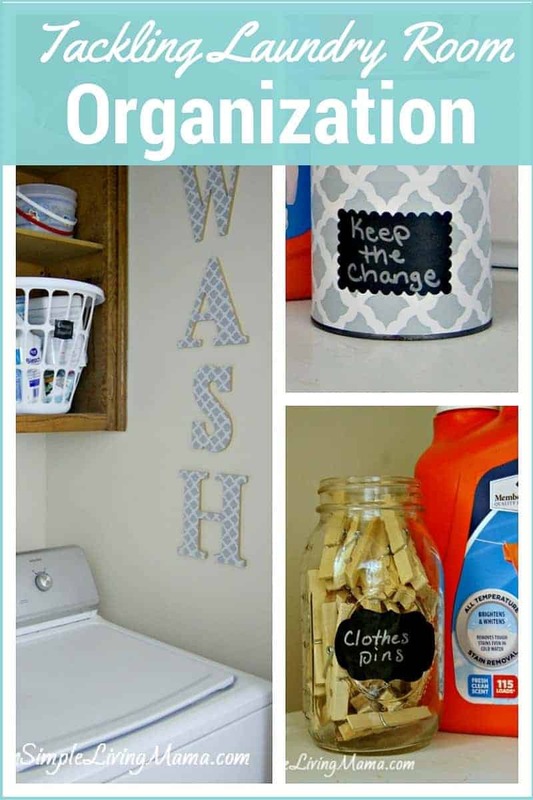 A nice, organized space makes doing household chores a little more enjoyable. 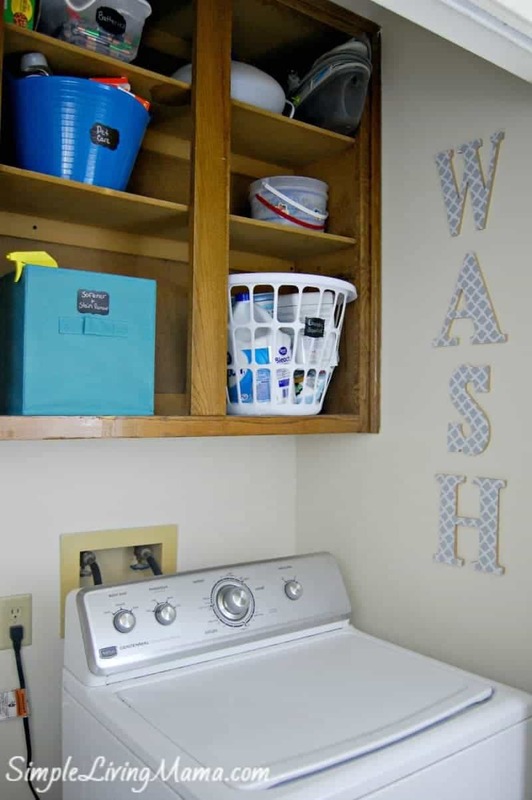 Do you have a small laundry closet like me, or do you have a big laundry room? I do miss having a big laundry room, but I make do with this little laundry closet. I love this. The sign is so cute and even the little can that goes with it. I need to do that with mine. Thanks for sharing/ I will also have to try the new Laundry detergent. I love bright clean clothes that smell good.